Did you watch the first season of Bravo TV’s reality show “Top Design” last year? Todd Oldham was the host, with designers Jonathan Adler and Kelly Wearstler acting as judges alongside Elle Decor’s Editor-in-Chief Margaret Russell. Bravo has just announced that it is “demoting” Todd Oldham to the role of “mentor” for the next season (I assume this means he’ll be the Tim Gunn of “Top Design”? ), and they’ve named a new host. The new host for season 2 of “Top Design” will be model and socialite India Hicks (shown above). Bravo’s hit series “Top Design” is back with a new season, a new look in high-definition, new producers and a new host. “Top Design” host India Hicks, is the daughter of famed interior decorator David Hicks and Lady Pamela Hicks. Born in London, England, she was named in honour of her grandfather, Lord Mountbatten of Burma, the last Viceroy to India. Her godfather, HRH Prince Charles, chose Hicks to be a bridesmaid in his wedding to the late Lady Diana Spencer in 1990. Over the past ten years, Hicks has enjoyed a successful career as a fashion model, being photographed by some of the world’s most renowned photographers for the industry’s top fashion campaigns including Ralph Lauren, Banana Republic, and Bill Blass. I’m a fan of Bravo’s similar shows “Project Runway” and “Top Chef,” so I had high hopes for “Top Design.” I hope these changes make it more fun to watch this year. It was a big disappointment for me–and juding by its ratings and reviews, I don’t think I was the only one who thought the biggest makeover was needed for the show itself. Ugh. Surely they can come up with something better than that? The first season must’ve been fairly unmemorable in general, because I can’t even remember the winner’s name, can you? My father, David Hicks, designed everything around him, including my mother’s hairstyle, the nose of a client’s daughter and even his own funeral. I grew up never doubting that 1880 French tricycles were appropriate toys for modern children, that swimming pools were painted black and that school days started in a chauffer-driven, custom chocolate-brown Rolls-Royce. You can see a photo gallery of India’s home here: Domino magazine online. She clearly inherited the designing gene from her famous father. You can read a review of the first season of “Top Design” at Time Magazine Online, which called host Todd Oldham “the biggest weakness of the show.” Read today’s press release about Season 2 for yourself here. UPDATE: The new season began Wednesday, September 3, and I’m recapping the episodes. Click here to see the recap of the premiere episode. your house. And the beginning of that article sounded rather interesting. enough to read, couldn’t imagine hearing it over and over. I hope I can start liking this show… it could be GREAT, bust last season was just eh for me. Yeah last season was a little eh for me too. I think Todd will be a great mentor – look forward to the re-vamped season! Watched last season, It was not good! 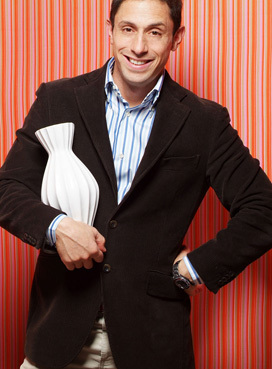 Jonathan Adler is so annoying and that elimination line was painful. I had high hopes for the show since I love Project Runway. 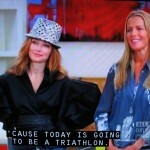 I hope this season is better I think they would have done better to ditch Jonathan Adler too. grrr…am wishing I actually had Bravo TV (we’re too cheap and I only have HGTV). Can’t believe I’m missing a design show! As a side note – India should be a fascinating host. I devoured the Domino article about her…I think being David Hick’s daughter was definitely a blessing AND a curse…sometimes more curse than blessing. What amazing talent in one fascinating family though. Thanks for all the info Julia! Julia! I am lmao over here because you literally took the words out of my mouth! 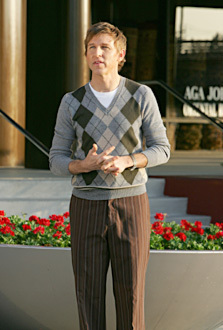 Everytime I thought “Oh I have to comment about how awkward I thought Todd Oldham was!” you said it. Then I thought “Oh I hated the line ‘see you later, decorator!’ ” and you said it. I thought she can’t possibly comment on what Kelly wears each week. And you did! Anyway- can’t wait for the show to start! I love all the Bravo reality shows. Do her legs have to be that long ? I felt the same about Todd O as I did Katie Lee Joel. When Joel left, things got better. It was painful watching her a swell as Todd O.
J Adler felt a little awkward too esp. with the ending line. I cant believe that they replaced Todd Oldham, I love him! I hope this season will be as good as season 1. Im glad that they are still keeping him around. the last season winner was the gay guy who ended up being straight. I think that Jonathan Adler looked like someone coming from the jungle and forget to properly dress, loose the sneakers and wear a tie that makes your neck look less fat and old. The judge with the crazy hairdo and the hat and fingerless gloves, and whatever was she thinking when whatever she was wearing from the wasit down made her look fat, and did she empty her jewerly box and wear everything she owned in one clean sweep, all I could think of was that I was watching someone in an old western, maybe made in the 1940s. I think that Todd not being the host was a great mistake, but why would you care what I have to say. The new judges are certainly soothing to the eyes. Nice site! Keep up the good work.